The Middletown Township Fire Department is actively recruiting for the position of Firefighter. Contact us today or click here for more information. 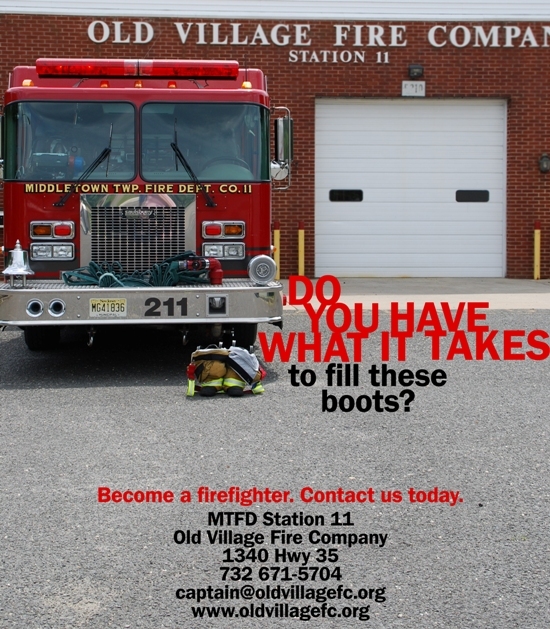 The Old Village Fire Company is an IRS-designated 501(c)3 non-profit organization. For questions regarding the website, please email webmaster@oldvillagefc.org.